We sell the full line of Franck Muller watches at greatly discounted prices. All Franck Muller watches are new and come with a 1-Year Parts and Labor Warranty. Please call us at (800) 654-7184 with questions about pricing, availability, or service on any watch manufactured by Franck Muller. We offer a remarkable 28% discount off retail prices for Franck Muller. Please visit the Franck Muller website to select your model and then call us at (800) 654-7184 to get the best price on your new watch. We sell the full line of Franck Muller watches at greatly discounted prices. We offer a remarkable 28% discount off retail prices for Franck Muller. 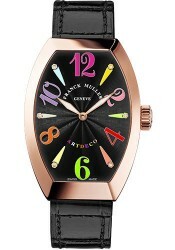 All Franck Muller watches are new and come with a 1-Year Parts and Labor Warranty.